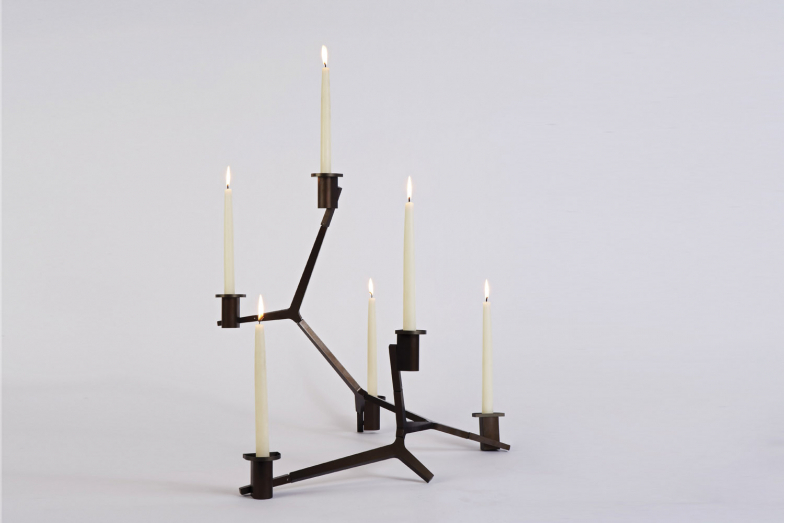 The Agnes Candelabra are inspired by our heroine Agnes, a worker in the worldâ€™s oldest profession during the 1849 American Gold Rush. Defying the expected roles as wife and mother, she instead chose the fierce independence and transient lifestyle of the frontier. The modular system allows Agnes easy set up in her makeshift â€œworkspace.â€ A warm glow transforms the room.